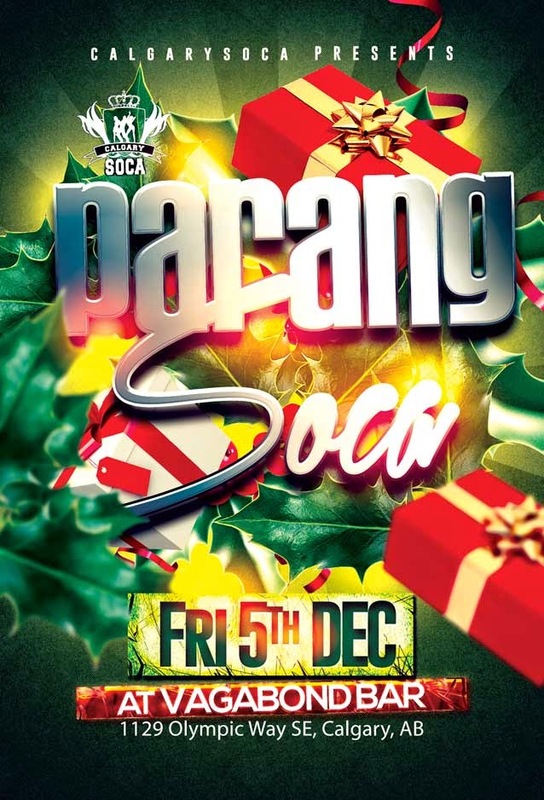 CalgarySoca invites you to enjoy the Christmas season at our annual Parang Soca fete. Friday Dec. 5th 2014, the party returns to Calgary's downtown, as we bring the energy to Vagabond bar. Parang Soca music by DJ Drew Atlas and Guests.